Ontario projects: Developing eight wind farms — Adelaide, Bluewater, Bornish, Conestogo, East Durham, Goshen, Jericho, Summerhaven. 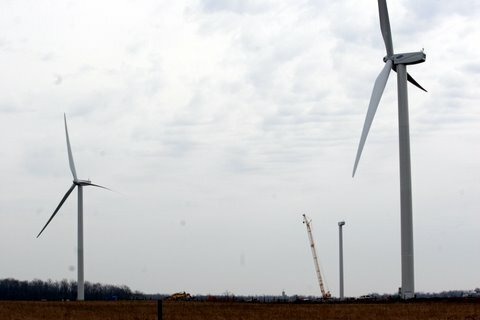 Ontario projects: Purchased Canadian Hydro Developers in 2009, including the 197-MW, 86-turbine Wolfe Island Wind project and the 67.5-MW, 45-turbine Melancthon I Wind Plant near Shelburne. E-mail john.miner@sunmedia.ca, or follow JohnatLFPress on Twitter. Posted on June 20, 2012, in Adelaide Project- NextEra, Adelaide Project- Suncor, Bornish Project, Cedar Point Project, Goshen Project, Grand Bend Project, Jericho Project, Napier Project, Next Era, Samsung, Suncor. Bookmark the permalink. 1 Comment.